This watch comes without box and papers, which makes me wonder what the price would be if these were still with the watch. 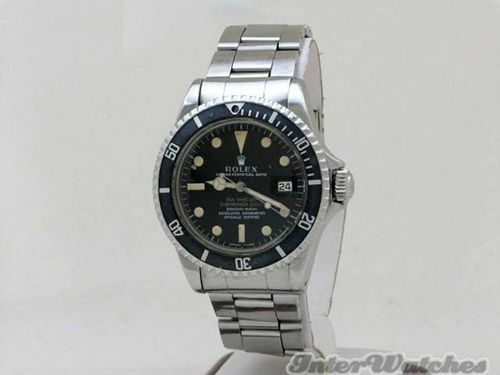 Now, I can really understand why there is so much love for a vintage Rolex Double Red Sea-Dweller and even can see why people are willing to spend more than a car on one, but 180K seems a bit over the top to me. However, the seller needs only one guy who wants a Double Red without box, papers, a lacking tritium pearl in the lunette and with nicely round polished lugs at any given price. The good thing is that it comes with a one year warranty and FREE shipping.